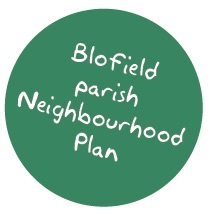 The Blofield parish Neighbourhood Plan Steering Group is set up to prepare a plan for the parish, on behalf of Blofield Parish Council. The scope of the Neighbourhood Plan involved setting a vision and objectives, writing planning policies and developing an implementation plan, validated by an evidence base that includes the results of community engagement. Blofield Parish Council have submitted an an ‘area application’ to Broadland District Council to designate the parish as a Neighbourhood Area (as required by Regulation 5 of the Neighbourhood Planning [General] Regulation 2012).